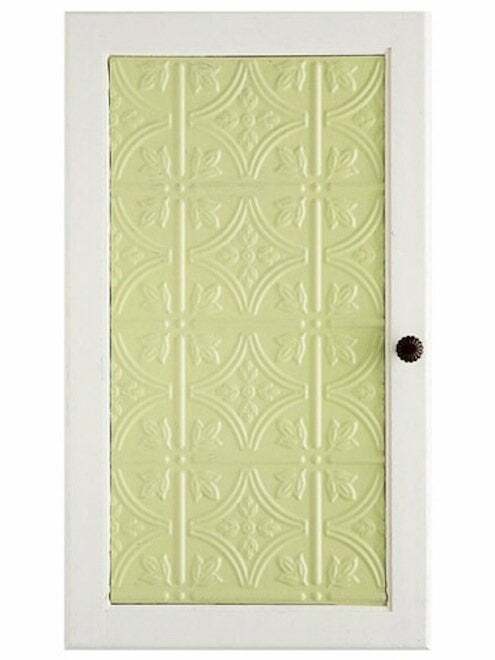 Many of us know tin ceiling tiles as the reasonably priced domestic cousin of European plasterwork. Ubiquitous in Victorian homes, these lightweight, fire-resistant, subtly decorative tiles are finding a variety of unexpected new uses today—and not just overhead. Here are five creative ways to repurpose this classic American material. Take a page out of Better Homes and Gardens and try re-facing your kitchen cabinets with salvaged or store-bought tin ceiling tiles. So simple enough to be done in a weekend, this upgrade is transformative enough to impress guests for years to come. 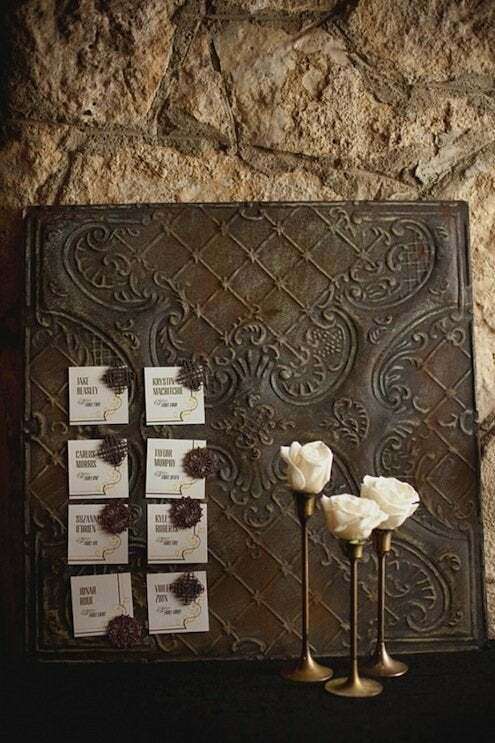 Not only is it an aesthetic improvement over the usual cork bulletin board, but this surprisingly simple tin ceiling tile magnet board from Ruffled takes almost zero labor to pull off. You may never look at your notes-to-self and family schedules the same way again! 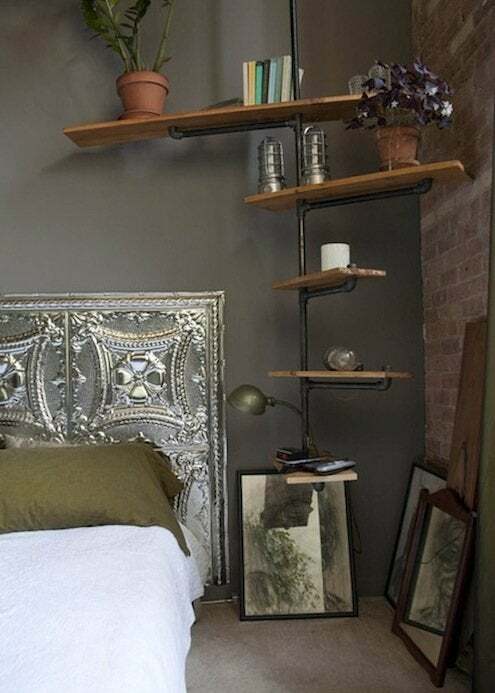 Amateur carpenters and beginning do-it-yourselfers need not be intimidated by this money-saving headboard project via Fresh Home Ideas. With the right tools and a stockpile of tin ceiling tiles, you can start and finish within a day—just in time for bed. 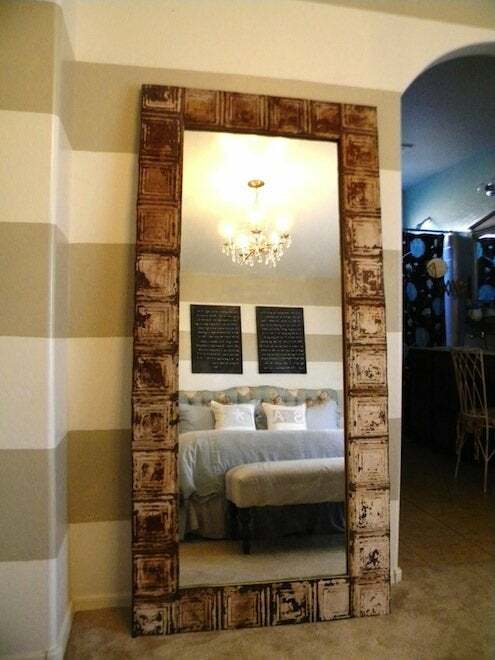 Follow this tutorial on eHow to refashion even the most modest of mirrors into an objet d’art that stylishly reflects its surroundings. A moveable feast of DIY ingeniousness, the same approach may be applied, on a smaller scale, to an artwork or photography frame. Who knew that an element intended for ceilings could be equally striking at ground level? 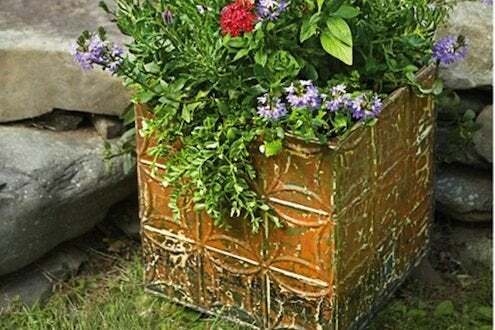 This Old House shows how you can make a charming, off-beat planter using only five tin ceiling tiles, some everyday tools, and a little plucky know-how.